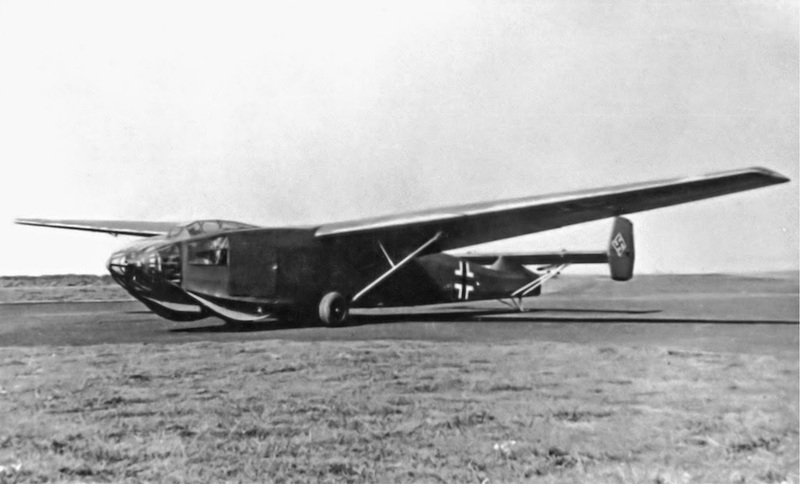 The transport glider DFS 331 was designed by engineer Hans Jacobs from DFS and built by the Gothaer Waggonfabrik. 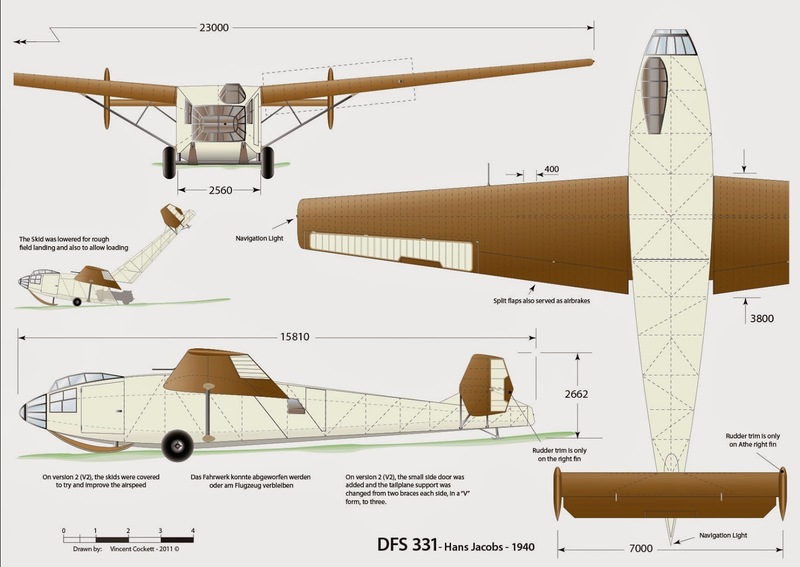 It was intended to be a larger and more useful version of the DFS 230 with the capacity to carry a cargo load of 2,500 kg (5,512 lbs). The glider had a length of 15.81 m (51 ft 10.5 in), a span of 23 m (75 ft 6.5 in) and an empty weight of 2,270 kg (5,005 lbs). Maximum speed on tow was 270 km/h (168 mph). Operated by one pilot who sat in a cockpit placed high on the left of the fuselage, the DFS 331 was fitted with a large loading door on the side, and skids for take-off and landing. Only one example was built, in 1941. There was a projected twin variant, the DFS 332, composed of two DFS 331 gliders joined together, with a middle wing section and tailplane.